Seen the newest episode online? Read the latest chapter from your favorite manga? If you are a die-heart anime fan, why not travel to the land where it all came from? This fully escorted Japan Anime Tour package takes an in-depth look focusing on the hottest anime spots in Tokyo. This tour will include time in Akihabara, Nakano Broadway, and other great anime related stores for shopping. Don't forget the dozens of other locations like the Pokemon Center, Animate, J-World, Robot Restaurant, and more. If anime is your passion, this tour is meant for you. Make your fantasy come true in this exciting trip. You can also extend your vacation before / after this Anime Japan Tour in Tokyo. Seen the newest episode online? Read the latest chapter from your favorite manga? If you are a die-heart anime fan, why not travel to the land where it all came from? This fully escorted Anime Japan Tour package travels around Tokyo in-depth focusing on the Anime hot spots. Our Anime Japan Tour will offer a chance to hunt down rare collectible items in Akihabara and Tokyo Character Street, the mecca of otaku, and enjoy some of the best anime spots in Tokyo. 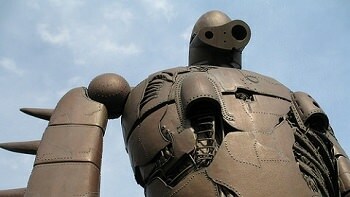 Watch anime come alive at the Ghibli Museum, dedicated to Hayao Miyazaki, where rare footage of anime can be seen there. Not to mention dozens of other locations like the Pokemon Center, Animate, Tokyo SkyTree, Robot Restaurant, and more. This Anime Japan group tour also includes admission to International Anime Fair - AnimeJapan 2019, world largest anime convention. 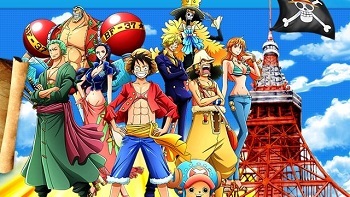 Join the thousands of anime / manga lover is getting first hand on the new anime series or meet some famous manga writers. Make your fantasy come true in this exciting trip. You can also extend your vacation before / after this Anime Japan Tour in Tokyo. 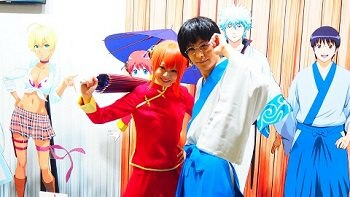 Join thousands of anime / manga lovers to the International AnimeJapan Fair in Tokyo. Follow your dreams in visiting the land of origin of some of your favorite characters during Japan’s beautiful sakura - cherry blossoms season. 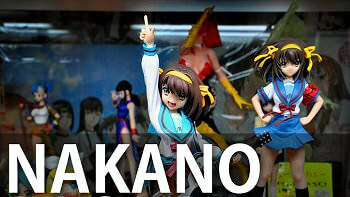 To fully experience Japanese culture, our Anime tour venture out to Hakone, Nara, Kyoto, and Osaka. In Hakone we will take you on a ropeway and Lake Ashi cruise to witness the beauty of Mt. Fuji from different angles. Have you seen your anime characters sleep on futons on tatami mats or visit temples? 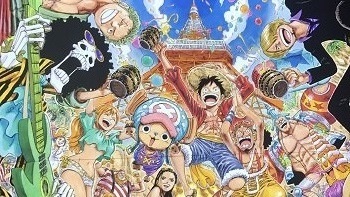 Well our Anime Japan Tour will offer the chance to relive your favorite anime moments during this trip. We will visit Buddhist temples including Sensoji Temple in old town Asakusa and the gorgeous gold leaf covered Golden Pavilion, or Kinkakuji Temple. At the Japanese inn, you will have the chance to sleep on those futons and relax in a hot spring, as the Japanese do to rewind after a long day. Visit all the anime spots you wish to visit and relive your favorite anime moments on our incredible Anime Tour, as well as joining in on the fun at the world’s largest anime convention, AnimeJapan Fair. You can also extend your vacation before / after this Anime Japan Tour in Tokyo, Osaka, and Kyoto. Japan has dual persona one being the real world and the other is the manga/ anime world. With this fully escorted Highlights of Japan Tour with Anime Spots, those two worlds will combine creating mind-blowing trip. In Tokyo, we will travel all the best places for otakus like Ghibli Museum, Nakano Broadway, Pokémon Center, Akihabara, and Maid Café. The rest of the trip will take you outside of Tokyo heading south on the old Tokaido Trail to Hakone, Nara, and Kyoto. You will get to experience a tea ceremony, sake tasting, bullet train ride, and a scenic ropeway aerial lift with a breathtaking view of Mt. Fuji. You will also get familiar with Japan’s hot springs in a luxurious ryokan, Japanese hotel, with a multi-course cuisine. If you a fan of manga/ anime or curious about Japan pop culture, this trip is great for you. You can also extend your vacation before/ after the tour in Tokyo, Osaka, and Kyoto. Japan has dual persona one being the real world and the other is the manga/ anime world. With this fully escorted Japan Golden Route Tour with Anime Spots, those two worlds will combine creating mind-blowing trip. In Tokyo, we will travel all the best places for otakus like Ghibli Museum, Nakano Broadway, Pokémon Center, Akihabara, and Maid Café. The rest of the trip will take you outside of Tokyo heading south on the old Tokaido Trail to Hakone, Nara, and Kyoto. You will get to experience a tea ceremony, sake tasting, a Kimono Fashion Show, and a cruise in Lake Ashi with a breathtaking view of Mt. Fuji. 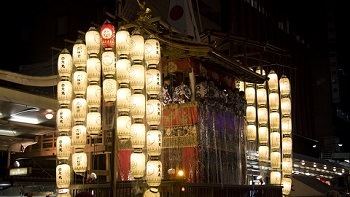 During the Summer, Japan's weather get's hotter, the days are longer, and festivals are a must. 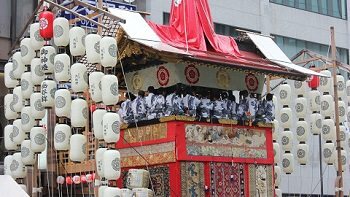 Spend your summer visiting Kyoto during the Gion Festival, which is celebrated through the month of July, culminating with a parade of 32 massive floats, some weighing up to 12 tons while being up to 25 feet tall. The Kyoto Gion Festival is often considered the largest and best festival in Japan, making it the perfect summer destination! Starting from, Tokyo, our Gion Festival Tour with Anime takes you to all the essential anime and manga spots like the Ghibli Museum, Nakano Broadway, Pokémon Center, and Akihabara. We made sure to pack in the best places for otakus and the casual manga/anime fan alike to provide a unique vacation. The rest of the trip will take you outside of Tokyo heading south on the old Tokaido Trail to Hakone, Mt. Fuji, Nara, and finally Kyoto for the Gion Festival. You will get to experience a tea ceremony, sake tasting, a Kimono Fashion Show, and a cruise in Lake Ashi with a breathtaking view of Mt. Fuji. You will also get familiar with Japan’s hot springs in a luxurious ryokan, Japanese hotel, with a multi-course cuisine. It is a great cultural experience especially being part of a Japanese festival where you get to listening to folk music, witness the different arrays of kimono’s patterns, and sample the variety of food that can only be found in Japanese festivals. You can also extend your vacation before/ after the tour in Tokyo, Osaka, and Kyoto. Sakura has come! Not from Cardcaptors or Naruto series but the beautiful pink flowers of Japanese cherry blossoms. Join us in our Japan Anime Tour as we visit all the favorite anime spots in Tokyo and make our way to Kyoto, Osaka, and Hiroshima to fully grasp the Japanese culture. We’ve got all the anime spots covered including Akihabara Animate, Tokyo Character Street, Ghibli Museum, Pokemon Center, and Tokyo One Piece Tower. We have also included stops at the Robot Restaurant, and an optional tour through Takeshita Street and Shibuya, which we think you will enjoy in furthering your understanding on Japanese pop culture. From the metropolis of Tokyo, our Anime Japan Tour will head to Hakone where you can try a black egg boiled in the hot springs of Owakudani’s crater which is said to add seven years of life. You'll also be able to see stunning views of Mt. Fuji from Hakone, perfect for photos to remind you of this trip. Or perhaps your favorite anime characters visit temples or sleep in futons on tatami floors? 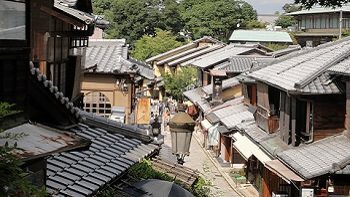 During this Anime Japan Tour you will have the chance to do both; you will be staying at a Japanese inn one night of your trip and will be visiting several temples including Todaiji Temple, Kinkakuji Temple or Golden Pavilion, and Sensoji Temple. If your favorite anime is based at a castle setting, we’ve got that covered too; Himeji Castle is an impressive example of Japanese castles. We’ll make our way to Hiroshima and Miyajima where we will learn about the history of the city and the impact the war had on its people. To top it off, our Anime Japan Tour also includes a trip to International AnimeJapan Fair in Tokyo! It is the largest anime fair in the world with over 100,000 cosplayers, vendors, and artists all in one area. We have created an anime tour full of anime spots yet well balanced with stops at traditional destinations for you to fully experience Japan. You can also extend your vacation before / after this Anime Japan Tour in Hiroshima, Tokyo, Osaka, and Kyoto. Cutting edge technology, economic powerhouse, and high cultural value give Japan a high standing in the world’s power. Tokyo is an imprint in their new advancements from the bullet trains to vending machines and futuristic toilets. However Japan would not be what it is today without its rich history and natural landscape. This Highlights of Japan Tour explores the modern city of Tokyo but also takes you to the cultural and historical essence of Mt. Fuji, Hakone, Nara, Kyoto, Hiroshima and Miyajima. We will take you to UNESCO distinguished locations such as Nara Deer Park with Todaiji Temple where Big Buddha resides, and the floating torii of Miyajima. In addition, we will travel to Hiroshima Peace Park Museum and A-Bomb Dome where you will see history come to life with accounts of the victims of the war. This trip is filled with rich and meaningful experience that runs deep to Japan’s history, culture, and modern lifestyle. You can also extend your vacation before/ after the tour in Tokyo, Osaka, Hiroshima, and Kyoto. Starting from, Tokyo, our Gion Festival Tour with Anime and Hiroshima takes you to all the essential anime and manga spots like the Ghibli Museum, Nakano Broadway, Pokémon Center, and Akihabara. We made sure to pack in the best places for otakus and the casual manga/anime fan alike to provide a unique vacation. The rest of the trip will take you outside of Tokyo heading south on the old Tokaido Trail to Hakone, Mt. Fuji, Nara, Miyajima, Hiroshima, and a prolonged stay in Kyoto for the Gion Festival. Enjoy the rich history of Japan while you're in Hiroshima, also known as The City of Peace , where tragedy and inspiration await you. Also, the floating torii gates of Itsukushima are sure to calm your mind and spirit. 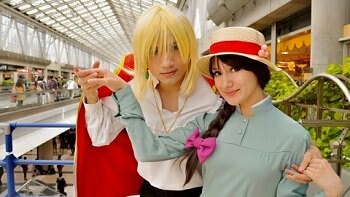 International AnimeJapan Fair is the largest anime convention in the world! With over 100,000 vendors, artists, cosplayers, and fans gathering from around the world, this convention is a must for anime lovers. Our Grand Anime Japan Tour includes admission to International AnimeJapan Fair and all the hot anime spots as well as top destinations around Japan, covering three of Japan’s major islands: Honshu, Kyushu, and Shikoku. We will start our Japan anime tour package in Tokyo and visit Akihabara Animate, Tokyo Character Street, Ghibli Museum, Pokemon Center, J-World, and the Robot Restaurant just to name a few of the anime related spots. From Tokyo we will go to Hakone and take a ropeway ride for an amazing view of the hot springs from above, and from which you will also see Mt. Fuji from the perfect distance. You might be aware that temples are a great part of the Japanese culture. During this Anime Japan Tour we will be visiting the great Kinkakuji Temple covered in gold leaf, Sensoji Temple in old town Asakusa, and Todaiji Temple where the Giant Buddha resides. From World Heritage sites and treasures of Kyoto such as Fushimi Inari Shrine to well kept secrets in Southern Japan like Dogo Onsen, the inspiration for famous Ghibli film, this Anime Japan Tour has it all. Join us in this great adventure Anime tour as we uncover every aspect of Japanese culture. You can also extend your vacation before / after this Anime Japan Tour in Tokyo, Osaka, and Kyoto.